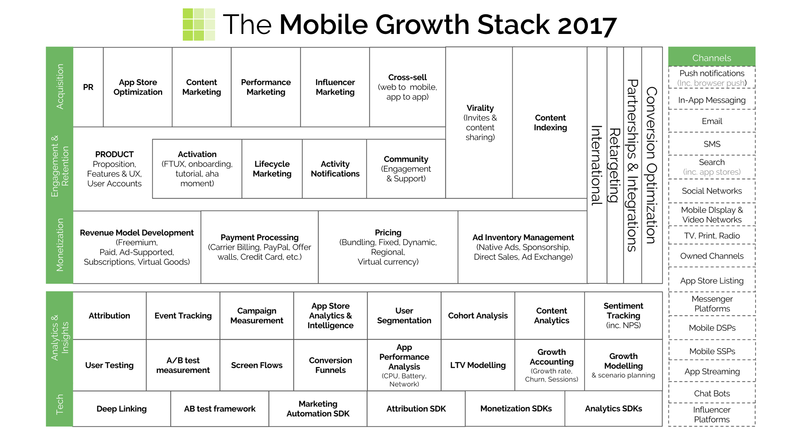 [Article]What Is The Mobile Growth Stack? In 2014, Andy Carvell (former Growth at Soundcloud) published "The Mobile Growth Stack": a framework he created to get a clear picture of his job. Since then, the framework has been improved. In this article, Andy explain exactly what the framework is and how it can helps you. Brian Dean do it again. He created an SEO strategy called "The Skyscraper Technique" where you take a subject and create the most resourceful page you can to rank well in search. Of course he ranks first for that term. But now he does it for other subjects. This time, Video SEO. How meta? Interesting way of thinking about customer acquisition and more precisely, customer prioritization. Scott Belsky (founder at Behance) share his thoughts on how to prioritize the customers you go after and when to do so. Lead qualification is a standard practice in B2B SaaS. However, are you are doing it right? In this article, Nick Frost from Mattermark share his thinking behind early aggressive lead qualification and how this approach can improve your lead to customer conversion rate. I'm not a big fan of taking a growth tactic out of its context and applying it. However, knowing what others did can be an excellent starting point for a more research based approach to growth. This article from Ty Magnin at Appcues is perfect for that, 30 quick bits growth tactics than you can start researching today for your next growth experiment. Understanding customer retention and the levers you can use to improve it is a crucial part of a growth team's job. In this video, Andy Carvell chat with Brian Balfour about his time at Soundcloud and how their team created a very precise way of measuring retention and the strategies they use to to make it better.